BC Alliance for Healthy Living and WoW want to better understand the current policy landscape on workplace wellness in BC, the Yukon and the Northwest Territories. Many workplace wellness policies and programs are designed with the urban, office worker in mind; and the best practices and policies developed reflect that population. We know that there are gaps that need to be filled, but specifically we wanted to know – What are the legislative, regulatory and ‘grey’ policies in place to support workplace wellness? Where are the gaps that need to be filled? What questions can our pilots answer? It is our hope that over the next two years, some of the gaps concerning rural and remote workplaces will be filled, and that the lessons from WoW can be shared broadly to support future work in this area. 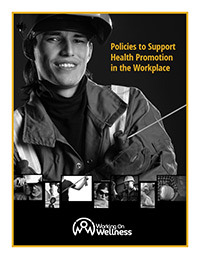 Check out Policies to Support Health Promotion in the Workplace – a review and see what we found to date.